You're the next contestant on the Gameshow Connection! Fun, fast paced, custom designed, on-site gameshows for your entertainment and team building needs. With over 10 years experience in hosted events, our professional gameshow hosts ensure you and your guests have an experience they will enjoy and remember for years to come! This is just like the classic TV show, and includes a centerpiece "Face Off" player position, as well as the "family" stations. 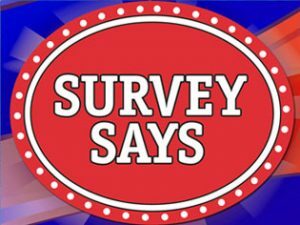 Survey questions are displayed on a 7' video projection screen using a professional game show software. Our game show host will present this game show just as you see on TV. We can use our survey questions, or your customized survey questions. This classic word puzzle TV game show can be played with three players (as seen on TV), or with six players with three teams of two. The "wheel" format is often used as a supplement to our Quiz Show Challenge game show. Word puzzles can be selected from our popular puzzles, or they can be customized to meet your needs. Players press a game show button to activate the software based wheel. All other aspects of our wheel game play "as seen on TV". 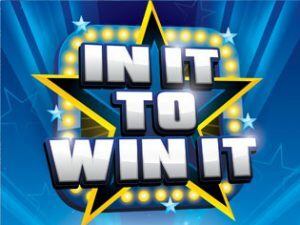 In It To Win It is a game where players perform a variety of physical challenges in under a minute. We have a variety of creative challenges for your employees or guests, which require them to use their creativity and whit to complete. Single players or teams can compete against one another. This is a great team building game, and can be incorporated with other games. 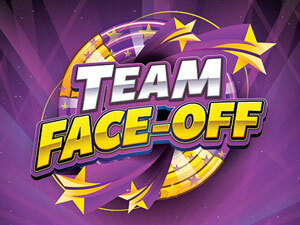 Team Face Off is an exciting, fast paced game show that uses teams of 4 – 8 players. Trivia questions can be customized around your company’s products, services, policies, procedures – or we can use our general pop culture trivia. 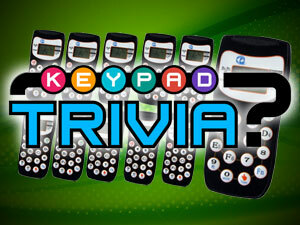 Looking for a way to include large numbers of guests or employees to play trivia games? Our wireless audience response system is a great option to get everyone involved. Wireless keypads can be used strictly for entertainment, training, or a combination of the two. 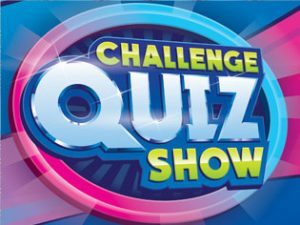 The Challenge Quiz Show" format has endless trivia possibilities. Our game show hosts have thousands of fun, entertainment trivia questions. We have sound clips from movies, TV shows, music, sports and many others that create an exciting game show. Corporate trainers have used games for training, team building and educational purposes for many years. Our custom game shows bring this traditional teaching method to a new level. The visually exciting game show sets will energize your group as soon as they enter the room. The trivia in each of our game show formats can be customized to present the most important information that you want your staff to use in their day-to-day work performance. Our corporate clients often times hire us just for the fun and entertainment a professional game show brings to their event. 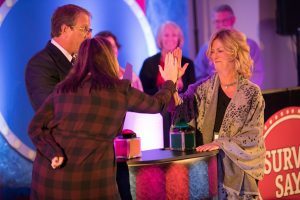 In many cases, employees are treated to an exciting game show after spending the day in workshops, seminars and meetings. Nothing boosts morale and fosters team spirit more than a professionally produced game show. Perhaps you are looking for something unique and different for this years holiday party - call our game show event planners to learn more! Are you looking to stand out against your competition at an upcoming trade show, convention or conference? 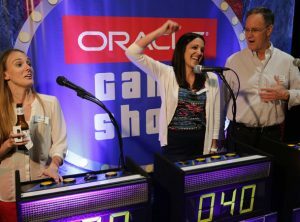 Companies such as Microsoft and Oracle have found huge success with using our game shows to enhance their presence - both on exhibit floors and hospitality parties. We can customize the trivia around your products and services, and invite show attendees to play a TV style game show. The players will learn more about your company, without feeling like they are being "pitched" or pressured. Our experience in this application will ensure that your brand stands out. Team Building, Company Meetings, Trade Shows & More! 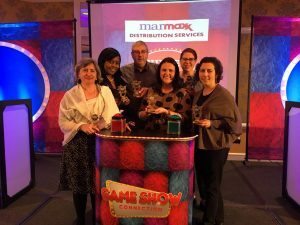 The Game Show Connection is the nations premier team building game show production company for corporate events, company parties, meetings, conferences and trade shows. Sign up for our once a month newsletter for team building ideas. 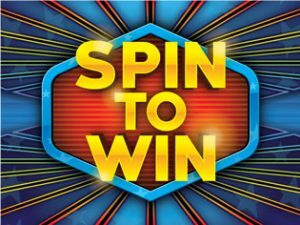 Family Feud®, Jeopardy®, Who Wants to be a Millionaire®, Wheel of Fortune®, Deal or No Deal®, Minute To Win It®, are trademarks™ or registered® trademarks of their respective holders. Game Show Connection does not have any affiliation with or endorsement by them. www.GameShowConnection.com | 2016 Game Show Connection © All rights reserved.